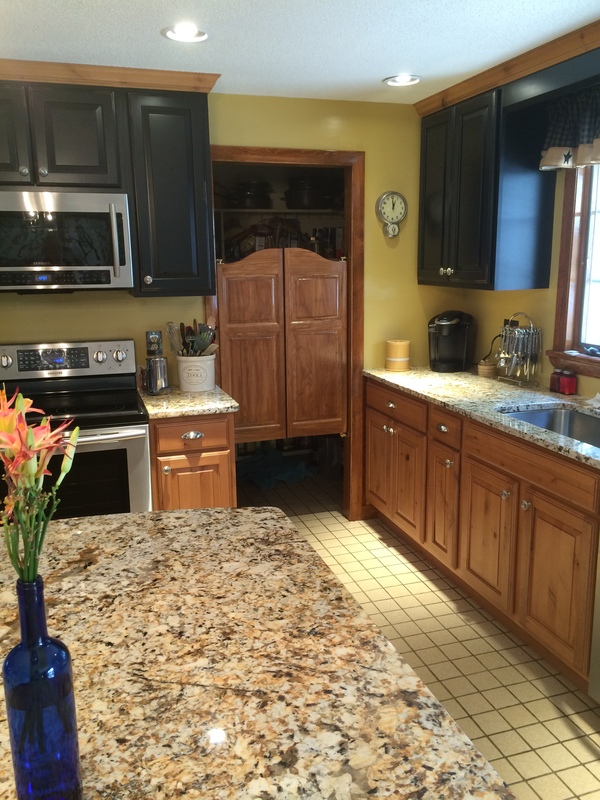 Do you need a new door for your pantry? 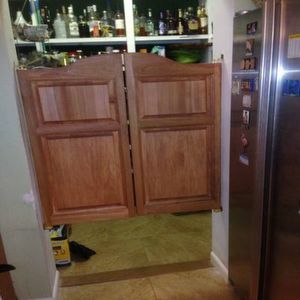 Consider a Swinging Saloon Door (also known as Saloon Doors or Cafe Doors). 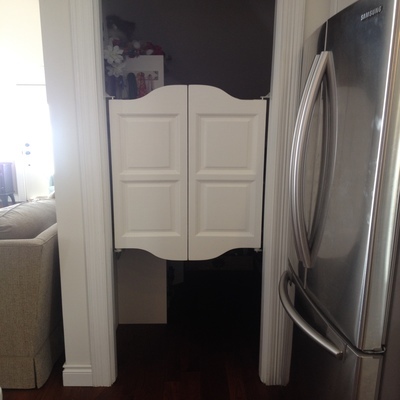 Swinging pantry doors are a new trend in pantry design, allowing for a better flow to and from the kitchen. When planning or updating your kitchen pantry, these saloon doors can add an additional design element to your space. 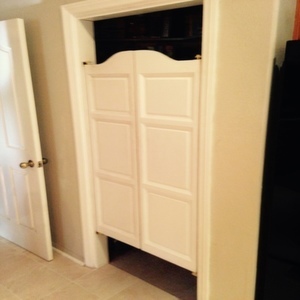 These doors will conceal your stocked shelves, yet allow easy access to get in and out. They swing in either direction and return to self center in a closed position. 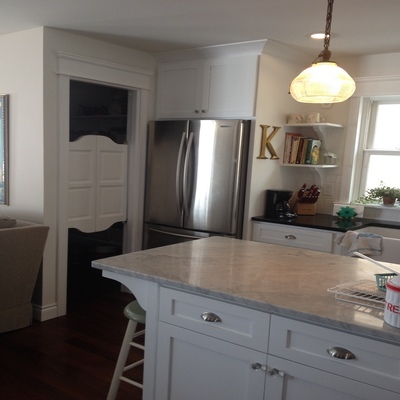 Swinging doors are a great solution for small spaces as they take up less space than a traditional door. 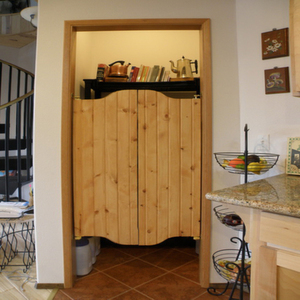 A swinging pantry door will be a great addition to your overall kitchen design. We offer saloon doors with a glass kit option to make a perfect glass pantry door. You can customize the glass once you receive the glass kit doors. Swinging Cafe Doors can customize the length and width of these doors to ensure a perfect fit for your pantry. We offer a variety of styles to suit any decor. We also offer many solid wood door materials, including doors made of Oak, Poplar, Sapele, Cherry, Ash or Pine. In addition, if desired, we can have glass inserted into the top panels, for a more open look.